It’s understandable if you’ve got baseball on your mind these days. The weather is getting warmer. Bryce Harper has come to Philadelphia. And Citizens Bank Park was rocking all weekend as the Phillies swept the Braves out of town. You’re not alone if you’ve got visions of pennants and parades dancing through your head- but if those good times do indeed start rolling, it seems the reality will be different than what you’re seeing in your imagination. The Eagles parade is fresh in everyone’s mind since it happened a little over a year ago. And it was glorious, starting by the Sports Complex in South Philly, moving up Broad Street, winding its way up the Ben Franklin Parkway, and ending on the steps of the Art Museum. 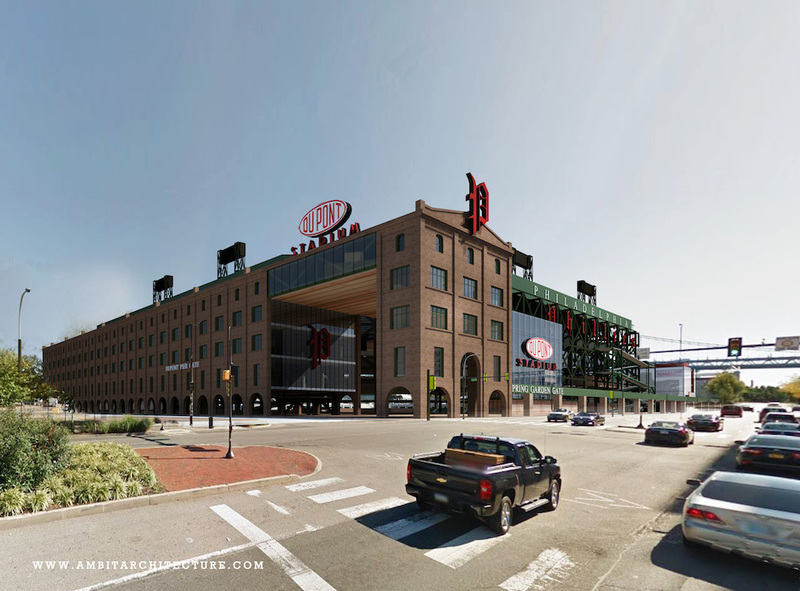 The Phillies parade in 2008 took a different route, starting at 20th & Market, moving south on Broad Street, and ending at the Sports Complex, with tens of thousands of fans cheering in Citizens Bank Park as Chase Utley made a declaration that surely shocked the censors. Any parade that occurs in the next couple of years could follow a similar path to either of the last two we enjoyed. Starting in 2023 though, any Phillies parade will surely take a very different path. That’s because your Philadelphia Phillies are moving to the Delaware River. Specifically, they’re building a new stadium at Delaware Avenue & Spring Garden Street, the huge parcel you’ve known as Festival Pier for many years. 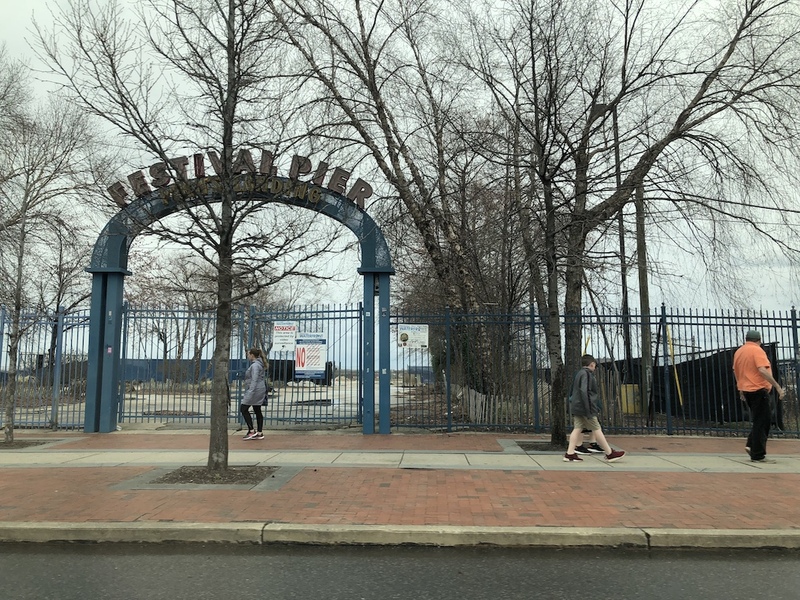 You may recall, the Delaware River Waterfront Corporation signed an agreement with developers back in 2015 to construct a mixed-use development on this site, with over 500 apartments and tens of thousands of retail space. You may have also noticed that said development has not moved forward, which inspired the DRWC to consider alternate uses for the enormous site. 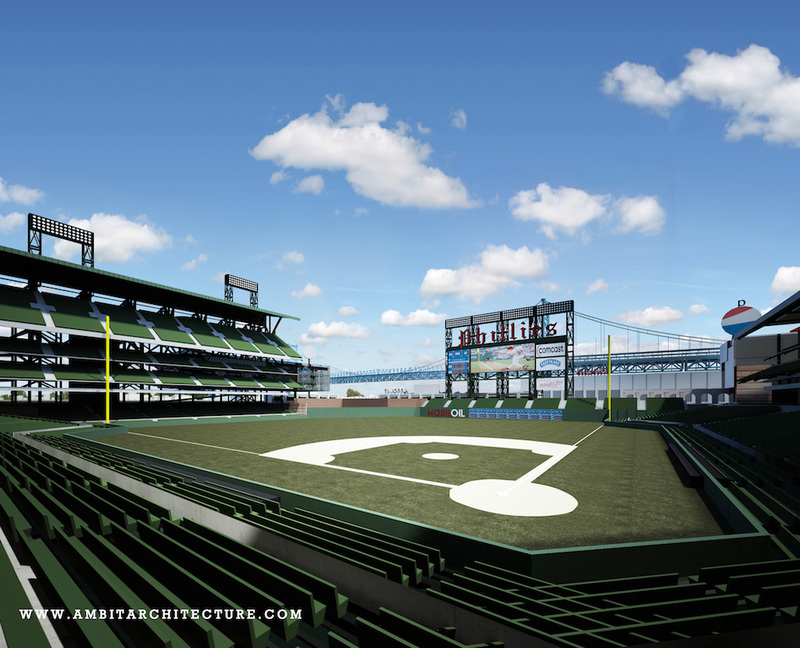 Inspired by owner John Middleton’s comments in November that the Phillies might be a “little bit stupid” about spending money on free agents in the offseason, DRWC President Joseph Forkin made contact with Phillies ownership at the end of last year to see if they had any interest in spending even more money on a new home on the waterfront. 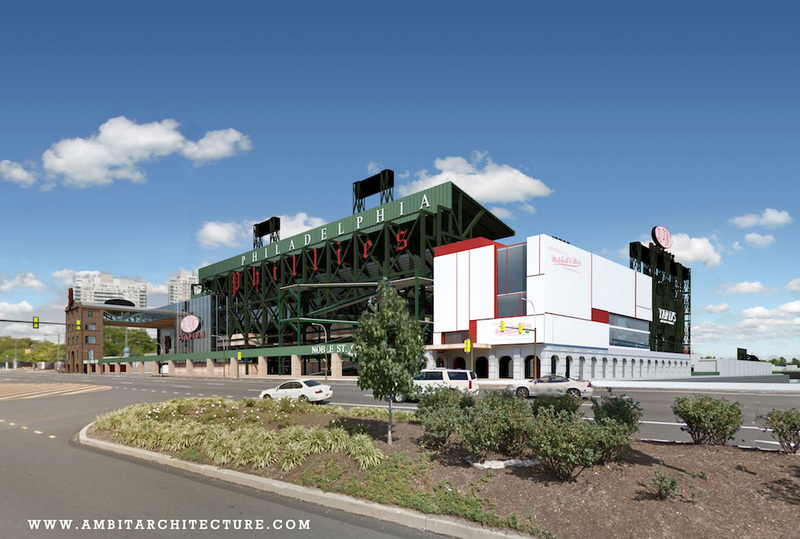 The idea was met with skepticism from the Phillies, who have been extremely happy in their 15-year old ballpark and have planned to remain at CBP for at least another decade and a half. After all, why mess with a good thing? And who wants to be like the Braves, clearing out of a stadium after less than 20 years? But then Bryce Harper happened, as the slugger agreed to a 13-year, $330M contract a month ago. You’ve surely heard about the fallout from the signing- hundreds of thousands of tickets sold, so much interest in Harper jerseys that they ran out of the letter ‘R’ at the team store, and so forth. 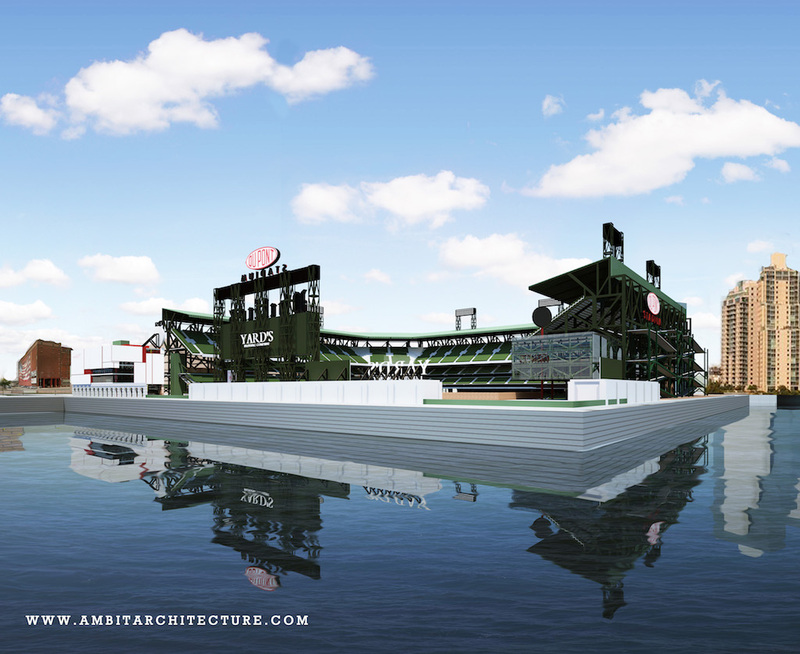 We hope to get at least a few more memories of playoff success in South Philly, but we’re practically salivating at the mental image of October baseball on the waterfront. And sure, Broad Street has been great for our previous parades, but a Delaware Avenue parade or two sounds pretty good to us too. See you out there folks, in November of 2023. This would be awesome, though. Such nice renderings for an April Fool’s joke.